Russia/Asia « Dr Deborah Swallow – Global Cultural Diversity..
President Dimitry Medvedev’s agenda to halt Russia’s endemic corruption problem, is apparently DESIGNED not to be effective, according to Ed Hancox in The Mantle. 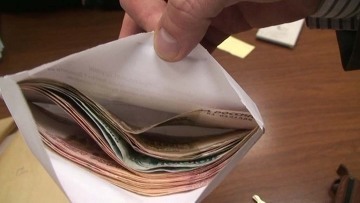 Rather than punish corrupt cops, the new law would allow sanctions to be taken against those police officers who make detrimental statements, in public, concerning their superiors – such as accusing them of taking bribes! 2008 and 2009 and officials there accepted a whopping $33.5 billion in bribes from Russian companies last year, according to a new Russian government report cited in the St. Petersburg Times….